A job assessment test can seem at first a little like someone asking a child what she wants to be when she grows up, but the truth is that these tests can tell you more than that. Many job tests include questions about your working preferences, but also questions that give you insight into your personality. Your personality type has a great deal of impact on which types of careers you are likely to find rewarding. The right job test asks a variety of questions that help to definitively categorize your responses. 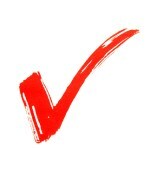 Many of these tests involve answers that do not allow for answers such as “kind of” or “sometimes.” Your answers to job assessment tests must fall into either one category or another so that the test can properly capture your information and help you find the right job or career path for your personality. Because of the definitive nature of career test questions, most of these tests contain more than just a few questions. In fact, each test may have upwards of sixty or seventy questions requiring you to answer each in order to score the test. Be prepared to spend quite a bit of time completing your career assessment test. You do not want to rush through the questions, as this may give you inaccurate information. Many different career assessment tests are easily available online. While some require a fee of some sort, you can find quite a few different career tests that are completely free to take. After you complete the test, you receive your results. Occasionally a particular test may ask for additional information such as your email address or your name in order to give you the results for your job assessment test. Career assessment tests are a valuable resource. Because they are so detailed, you can get an accurate picture of your personality and your interests. This information helps you to locate a career that meshes well with you as an individual. If you have never taken a career test, consider taking the time to sit down and complete one. Keep in mind, however, that a career assessment test is not completely definitive. While your career assessment test may indicate you have a strong desire to be outside, your true perfect career may involve working in an office. You must take the results from your job assessment test and apply them realistically to your life and to your goals.